Lyndon Johnson was born on the 27th of August 1908 in Stonewell, Texas. Johnson went to university and trained as a teacher. During World War II he served in the Navy between 1941 and 1942. Johnson was a democrat and worked with John F. Kennedy during his presidential campaign as Kennedy’s Vice President nominee. When Kennedy was assassinated, Johnson stepped up to become president himself, and became the 36th US president in 1963 during the Cold War. Johnson served as president until 1969. During his time as president Johnson built up a reputation for being domineering and aggressive towards politicians in order to advance legislation. He designed influential legislations such as the ‘Great Society’ legislation that upheld medical insurance, civil rights and aid for education and leisure. His ‘War on Poverty’ helped many Americans improve their way of life, and helped them to rise above the poverty line. Johnson was heavily involved with escalating the American participation in the Vietnam War. An increase of over 400,000 military personnel was seen within Vietnam during the Johnson presidency. Also, the ‘Gulf of Tonkin Resolution’, which was passed by congress, enabled him to use military force without needing to declare war officially. Unfortunately, because of the increased use of weapons and the increased number of American’s within Vietnam, the casualty toll rose massively and this led to many anti-war protests across the United States. In addition to his involvement with Vietnam, during his presidency Johnson was faced with summer riots within the United States in 1965. As a result of the disapproval of the Vietnam involvement and the increasing unrest within the country, many people who had once supported Johnson stopped doing so, and as a result support for the once popular president declined. Because it this, Johnson did not seek a second term of his presidency and ended his time as United States President in 1969. 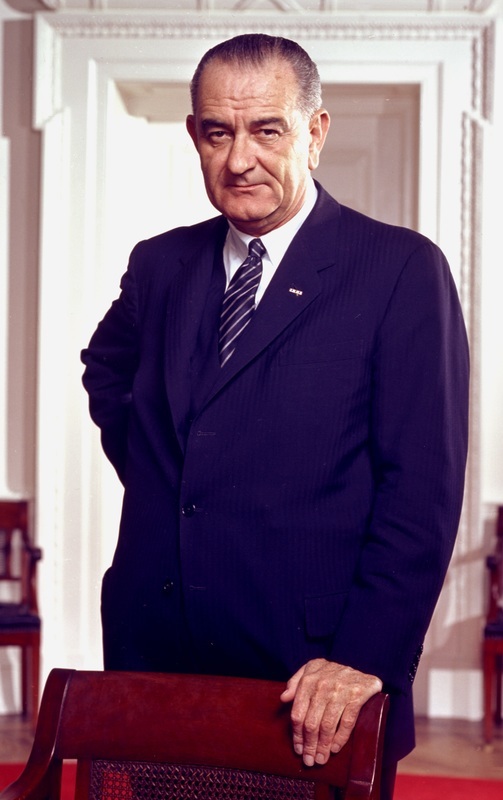 Historians state that Johnson’s presidency marked the height of liberalism within the United States, and it cannot be disputed that he had a big impact on the country as a whole, for example in civil rights, and gun control, despite his lost support. Johnson died on the 22nd of January 1973, aged just 63.